Sócrates Orel Brito…Signed by Junior Noboa...Named by his father after the ancient Greek philosopher...has read some of his philosophy...Middle name is Orel after former Major Leaguer Orel Hershiser. In 24 games with the D-backs, batted .175 with 1 home run and 3 RBI...Spent the majority of the season with Triple-A Reno, hitting .318 AVG/.383 OBP/.540 SLG with 34 doubles, 5 triples, 69 RBI and 15 stolen bases…led all D-backs Minor Leaguers in runs (85), was tied with Drew Ellis for the most doubles and ranked ninth among all D-backs Minor Leaguers in average...Named to the Pacific Coast League mid-season All-Star Team...Ranked among PCL leaders in doubles (3rd, 34), runs scored (4th, 85), OPS (6th, .923), total bases (T-6th, 231), slugging pct. (7th, .540) and average (8th, .318). Hit .291 with 15 doubles, 8 triples, 5 homers and 44 RBI in 78 games with Triple-A Reno...tied for 10th in the Pacific Coast League in triples...Began the season on the disabled list with a dislocated left ring finger suffered sliding into home plate on March 8...underwent surgery the same day to repair the open dislocation by Dr. Sheridan...also on the disabled list from July 11-19 with a sprained left ankle. Hit .179 (17-for-95) with 3 doubles, 1 triple, 4 home runs and 12 RBI in 40 games over 4 stints for Arizona...Made his first career Opening Day roster...Played 17 games in center field, 16 in right and 7 in left for the D-backs...Hit his first career homer on April 10 vs. Cubs (off Jake Arrieta)...On the 15-day disabled list from June 24-Aug. 5 with a fractured right toe... Entered 2016 ranked by MLB.com as the D-backs' No. 4 prospect and No. 6 by Baseball America, and has been tabbed as the Best Athlete in the D-backs' organization for 3 consecutive seasons (2014-16)...Batted .294 (89-for-303) with 10 doubles, 8 triples, 6 home runs and 39 RBI in 73 games for Triple-A Reno...Belted an inside-the-park homer on Aug. 24 vs. Tacoma. Played in 18 games (5 starts) in his first Major League season with the D-backs, going 10-for-33 (.303)…Recorded his first Major League hit on Sept. 8 vs. Giants (single off Tim Hudson) after being selected from Double-A Mobile prior to the game…Named the organization's Player of the Year after batting .300 (147-for-490) with 17 doubles, 15 triples, 9 home runs, 57 RBI, 70 runs scored and 20 stolen bases in 129 games for Mobile…Led all Minor Leaguers with 15 triples…Ranked among Southern League leaders in total bases (3rd, 221), hits (4th), average (6th), slugging pct. (6th, .451), runs scored (8th, 70), OPS (T-8th, .790) and stolen bases (T-10th)…Selected to play with the World Team in the MLB All-Star Futures Game at Great American Ball Park…Garnered Southern League mid- and postseason All-Star Team accolades…Entered the season rated by Baseball America as the D-backs' Best Athlete for the second straight season (2014-15), and also possessing the Best Outfi eld Arm…Earned the 2015 Aurelio Rodriguez Award, presented annually to the D-backs' Minor Leaguer who exhibits the spirit of Aurelio Rodriguez throughout Spring Training, by showing dedication and giving their best eff ort every day…Named the Dominican Winter League Rookie of the Year. Batted .293 (152-for-518) with 30 doubles, 5 triples, 10 home runs, 62 RBI and 38 stolen bases in 128 games with Single-A Visalia...Ranked among California League leaders in stolen bases (2nd), hits (6th) and runs scored (7th, 82)...Played with Oriente in the Dominican Winter League...Entered the season ranked by Baseball America as the Best Athlete in the D-backs' organization. Spent the entire season with Single-A South Bend and hit .264 (138-for-523) with 24 doubles, 9 triples, 2 home runs, 49 RBI and 27 stolen bases...Tied for sixth in the Midwest League in triples. Hit .312 (87-for-279) with 15 doubles, 5 triples, 4 homers and 39 RBI in 69 games with Advanced Rookie Missoula...Tied for ninth in the Pioneer League with 15 stolen bases...Named the D-backs' Organizational Player of the Month for August, hitting .378 (42-for-111) with 8 doubles, 2 homers and 18 RBI. Appeared in 55 games in his second straight season with Rookie Dominican Summer League D-backs, batting .275 (65-for-236) with 1 home run and 29 RBI. Made his professional debut with DSL D-backs and hit .293 (24-for-82) with 4 doubles and 8 RBI. April 4, 2019 Toronto Blue Jays activated RF Socrates Brito. April 2, 2019 San Diego Padres traded RF Socrates Brito to Toronto Blue Jays for RF Rodrigo Orozco. March 30, 2019 San Diego Padres designated RF Socrates Brito for assignment. March 27, 2019 San Diego Padres claimed RF Socrates Brito off waivers from Arizona Diamondbacks. September 1, 2018 Arizona Diamondbacks recalled RF Socrates Brito from Reno Aces. June 4, 2018 Arizona Diamondbacks optioned RF Socrates Brito to Reno Aces. May 22, 2018 Arizona Diamondbacks recalled Socrates Brito from Reno Aces. March 16, 2018 Arizona Diamondbacks optioned CF Socrates Brito to Reno Aces. October 10, 2017 Socrates Brito roster status changed by Arizona Diamondbacks. October 4, 2017 Arizona Diamondbacks reassigned CF Socrates Brito to the minor leagues. October 2, 2017 Arizona Diamondbacks recalled CF Socrates Brito from Reno Aces. July 20, 2017 Reno Aces activated CF Socrates Brito from the 7-day disabled list. July 13, 2017 Reno Aces placed CF Socrates Brito on the 7-day disabled list. June 11, 2017 Arizona Diamondbacks optioned CF Socrates Brito to Reno Aces. May 22, 2017 Arizona Diamondbacks sent CF Socrates Brito on a rehab assignment to Reno Aces. September 2, 2016 Arizona Diamondbacks recalled CF Socrates Brito from Reno Aces. August 16, 2016 Arizona Diamondbacks optioned RF Socrates Brito to Reno Aces. August 7, 2016 Arizona Diamondbacks recalled Socrates Brito from Reno Aces. August 5, 2016 Arizona Diamondbacks optioned CF Socrates Brito to Reno Aces. August 5, 2016 Arizona Diamondbacks activated CF Socrates Brito from the 15-day disabled list. August 1, 2016 Arizona Diamondbacks sent OF Socrates Brito on a rehab assignment to Reno Aces. July 29, 2016 Arizona Diamondbacks sent OF Socrates Brito on a rehab assignment to Visalia Rawhide. July 26, 2016 Arizona Diamondbacks sent OF Socrates Brito on a rehab assignment to AZL D-backs. June 24, 2016 Socrates Brito roster status changed by Arizona Diamondbacks. June 20, 2016 Arizona Diamondbacks recalled CF Socrates Brito from Reno Aces. April 18, 2016 Arizona Diamondbacks optioned CF Socrates Brito to Reno Aces. September 8, 2015 Arizona Diamondbacks recalled CF Socrates Brito from Mobile BayBears. March 20, 2015 Arizona Diamondbacks optioned CF Socrates Brito to Mobile BayBears. November 20, 2014 Arizona Diamondbacks selected the contract of Socrates Brito from Visalia Rawhide. 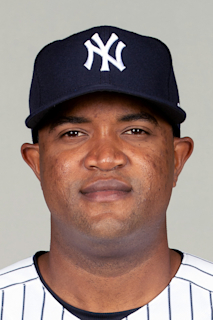 October 21, 2014 OF Socrates Brito assigned to Estrellas de Oriente. March 29, 2014 CF Socrates Brito assigned to Visalia Rawhide from South Bend Silver Hawks. February 27, 2014 RF Socrates Brito assigned to Arizona Diamondbacks. April 3, 2013 OF Socrates Brito assigned to South Bend Silver Hawks from Missoula Osprey. March 17, 2013 OF Socrates Brito assigned to Arizona Diamondbacks. June 16, 2012 Socrates Brito assigned to Missoula Osprey from AZL D-backs. April 1, 2012 OF Socrates Brito assigned to Arizona Diamondbacks. August 6, 2010 Socrates Brito roster status changed by DSL Diamondbacks. May 28, 2010 DSL Diamondbacks signed OF Socrates Brito.